There is no doubt that money is a necessity for most people. For many, nothing in life is more important than money. Almost everything we do requires money. I’ve seem people do crazy things for money. Why? Because money is valuable and earning money is a priority for most people. However, it’s important to draw the line when determining how valuable money is to you. I know it’s easy to say money isn’t everything and much harder to actually believe it and live by that philosophy, but when you really think about it, it’s so true. 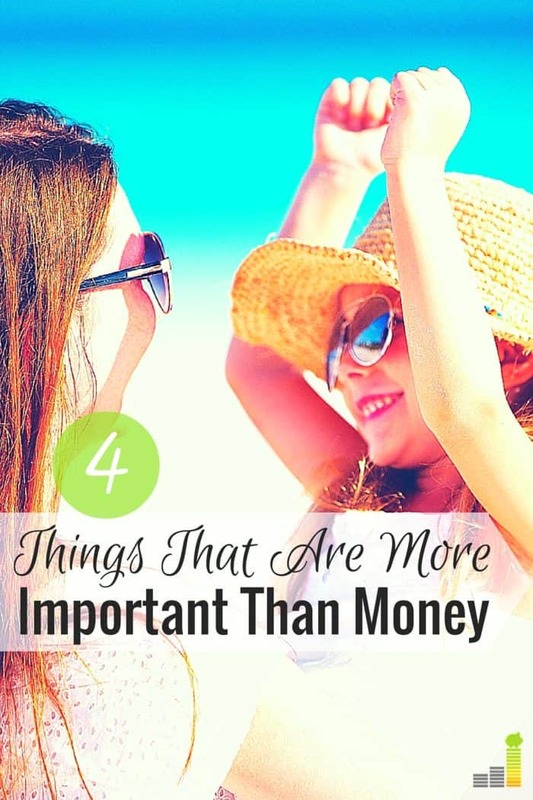 Here are four things that are way more important than money. Prioritizing your health is not always easy to do. As a hard working parent, I almost always put myself last in order to focus on everything else I have going on. Putting your needs last is never a good idea, especially when it comes to your health. I’ve generally always been a pretty healthy person, but last year I started to have some minor health problems and ended up having an outpatient surgery. Normally, when my body tells me that something is not right, I try to ignore it or minimize the issue because going to the doctor is one of my least favorite things to do. It takes a lot of time, and it can be expensive. Plus, one of the main hesitations I’ve always had about going to the hospital or doctor is missing work and missing out on money I could be earning. 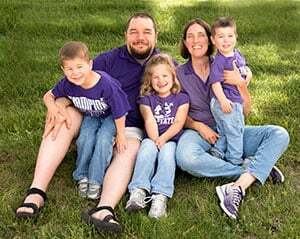 Last year was a wake-up call for me though when I went to the doctor for a regular check-up and found out I had some precancerous cells in my body. The doctor did a biopsy and encouraged me that there was no reason to be alarmed, but I needed to schedule a procedure quickly just as a caution and to prevent it from becoming an issue. At the time, I didn’t think twice about scheduling time off work or having a short paycheck for the next payment period. I informed my boss that I needed to be out of the office for a day or so, and I communicated with all my freelance clients as well. I’ve had two follow-ups with my doctor since the surgery last year and I’m healthy as can be now. It felt so good to put my health ahead of money and I knew it was the right decision. It’s important to stay on top of your regular check-ups and listen to your body so you can react accordingly. If you don’t have your health, you might not be able to earn money and improve your financial situation anyway. Time is another factor that I feel is priceless. I once heard someone say that you can always get more money, but you can’t make more time; you can’t go back either and reclaim time you’ve already spent; and, you don’t know how much time you have left either. This is so true. After I heard this, I began to take a mental audit of my life to assess how I was spending my time and if I should change anything. I started cutting out activities that weren’t really valuable to me and tried finding ways to work more efficiently and determine how much my time was worth. 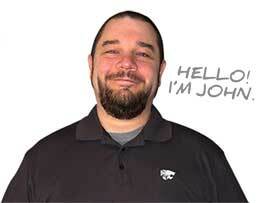 I spent three years at a very low-paying job and vowed never to do that again. Nowadays, I don’t accept overtime hours from my 9-5 job because I don’t need it. I earn a decent amount of money that allows me to meet my needs plus I side hustle which is something I enjoy. I try to do things that are meaningful to me and build on my relationships with others that I care about with the rest of my time. I never want to do something that causes me to feel like I’m wasting my time. You can’t buy the love, support and comfort that your family provides. Since I already value time over money, I like to spend as much time as I can with my family especially my son who needs my attention as he grows and learns each day. I actually put a cap on how many hours I should work because I don’t want my workaholic tendencies to start to have a negative effect on my family. Plus, it’s no fun to obsess over money all the time, when you can just simplify your lifestyle by adopting frugal habits and share life’s experiences with the people closest to you instead. A lot of the fun and memorable moments I have with my family don’t really involve money at all. While your physical health is extremely important, your mental wellbeing is also more important than money. Dealing with a situation that is damaging to your mental health simply for the sake of having more money is not worth it and it can even leave you scarred. I’ll use my 3-year dead-end job as an example again. There were times during college where I was really unhappy with the work I was doing. I thought it was normal to be unhappy with work especially since I was going to school so I could obtain the career I wanted. The jobs I worked in college were only temporary, but I specifically remember two jobs that threatened my mental health so bad I was at the point where I had to force myself out of the car when I arrived to work because I really didn’t want to be there and it was eating away at me. I’m happy things are so much better now but I wish I would have made a change even earlier. If you’re feeling mentally drained or uneasy, it’s important to have someone to talk to about your problems and be willing to seek out additional help to address any of your issues before it takes a toll on your mental health. Money is important, but it won’t solve your biggest problems. 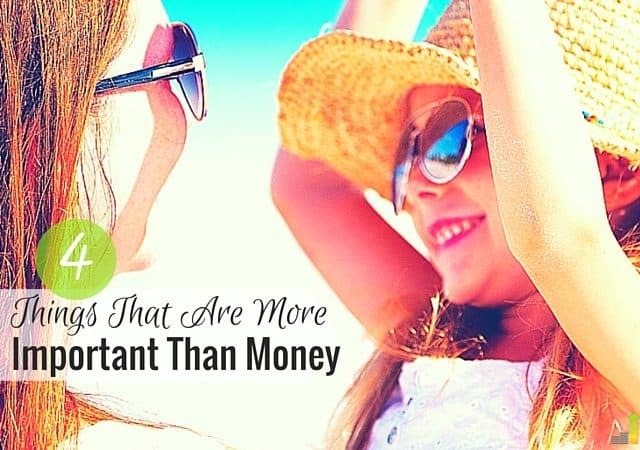 It’s easy to get carried away with prioritizing money as you strive to reach your financial goals, but it’s important to realize that money is a tool that you use to achieve the life you want. You do have to make some sacrifices, but you also have the freedom to draw the line as to how much you want to sacrifice. Money can be a priority without being the most important thing in your life. Do you ever forget that money shouldn’t be #1? What do you think is more important than money? When can you remember forcing money to take a back seat to something or someone else? How did it turn out? Excellent reminders. I highly doubt there are many people who lament not working that extra day while on their deathbed. They usually regret not spending enough time with their family. I agree, and constantly remind myself of that actually. I can’t make life all about money because when you do that, ironically, you won’t be able to live a fulfilling life. Agree 100% with this. With health I think one way to (at least in a small way) take money out of the equation is to throw money at a medical emergency fund (or even better, an HSA). Now that my wife and I have been maxing it out for a few years we do not have to think about whether or not to go to the doctor, get a treatment, etc. due to price. We set aside money specifically for that so we can make informed decisions without weighing the financial cost. I think this is a great option DC! I’ve never had the option of getting an HSA but my husband does now at his job so we’re excited to start contributing to that! I love this and totally agree with every word. While I was reading, I kept thinking how you all of these things are way more important than money, but at the same time money can improve all of these areas-you can afford to get the medical care you need without hesitating as well as therapy and counseling for mental health, you can outsource tasks that allow you to spend your time more in line with your goals and you can afford to travel to see far away loved ones and friends. I love that you tied this in at the end. This philosophy is something that I wish more people would adopt-there’s more to life than money! This is so true. Without our health we are nothing. I’d rather earn less if the higher paid job was making me ill! Yes!! Without these things we will never have the opportunity to enjoy our money anyway. It is so easy to get caught up in the hustle that we forget to take care of ourselves and tend to the truly important things like our health and spending time with family and friends.